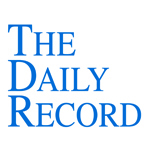 This week's Daily Record column is entitled "A Look at Lawyers' Use of Technology in 2011." The results of the American Bar Association’s annual legal technology report, the 2011 ABA Legal Technology Survey, were released over the summer and include some interesting statistics. Apparently lawyers, although historically slow to adapt to change, are increasingly using emerging technologies in their law practices. This is because the impact of certain technologies cannot be denied. Specifically, Internet-based and mobile technologies, including cloud computing and social media, are profoundly affecting both our personal and professional lives. For that reason, lawyers are now incorporating these new tools into their law practices at rates never before seen. First, let’s turn to cloud computing. For those unfamiliar with the concept, it simply means that data is stored on a server owned by someone else and the data is then accessed from any device with an Internet connection. Popular examples include web-based email such as Gmail or Hotmail, document creation and sharing via services such as Google Docs or Microsoft Office 365, and online document storage through such services as DropBox. There is also an increasing offering of cloud computing platforms developed specifically for lawyers. According to the ABA’s 2011 survey, 23.2% of lawyers use online platforms to create and share documents, 22.8% use online services for messaging and communication, 17.2% for invoicing and bill payment, and 15.3% for scheduling and calendaring. Another interesting statistic: 23% of responding lawyers now offer clients access to information relating to their case via a secure online portal, a practice that I believe will be commonplace within the next few years. The reason attorneys are moving toward cloud computing? Convenience. 70% of attorneys that use these services cited the ability to access data from anywhere as the main incentive, while 55% stressed the importance of 24/7 access to data. Simplicity and affordability were also cited as important factors. Low cost was important to 49%, quick start up time was a factor for 44% and 43% appreciated the ability to eliminate IT staff and software management requirements. 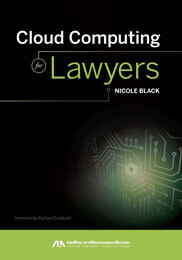 The main reason lawyers are reluctant to use cloud computing technology? Lack of familiarity. Hopefully my book about cloud computing, which will be published by the ABA this fall, will help to alleviate that problem. Other reasons cited by those concerned about using cloud computing in their practice include confidentiality and security concerns (47%) and the lack of control over data due to outsourcing it to a third party (41%). Next up, mobile technology. Like the general population, lawyers have quickly adapted to this revolutionary change. Smart phone use rose from 79% in 2010 to 88% in 2011, with 46% of lawyers using Blackberrys, although that number drops to 33% for small firms with 2-9 attorneys. Interestingly, since 2010, iPhone use increased dramatically and is now at 35% overall and at 46% for small firms with 2-9 attorneys. Android phones also have a respectable showing and are used by 17% of responding attorneys. Tablet use is also on the rise, even though the iPad was just introduced 1.5 years ago in April of 2010. The iPad is used by 89% of those lawyers who use a tablet device for work-related tasks and 15% of respondents used a tablet to conduct work while outside of their primary workplace. For firms with over 500 attorneys, that number increased to 26%. Finally, let’s turn to social media. LinkedIn was, by far, the most popular site used by individual lawyers, with 62% using that site, followed by Facebook at 22% and Twitter at 6%. 73% of respondents reported using social media sites for career development and 71% used them for networking. Although 53% of attorneys participating in social media reported using it as a client development tool, only 12% obtained a client directly or via a referral as a result of their participation in social media. The bottom line: lawyers are doing a respectable job of learning about new technologies and incorporating them into their practice. I believe the reason our profession is keeping pace so well is because lawyers realize that these new tools make their job easier and provide a level of convenience and flexibility never before seen. Most lawyers now recognize that these newfound technologies aren’t the enemy. Instead, they are simply innovative, affordable tools that allow lawyers to better serve their clients. And, at the end of the day, isn’t that what’s most important?